A characterful fun birthday card of a hamspter holding a birthday banner. Made using brush and ink. A bold and colourful card design of a hamspter holding a birthday banner. The caption reads 'Happy Birthday- Today will be totally ridiculously awesome'. 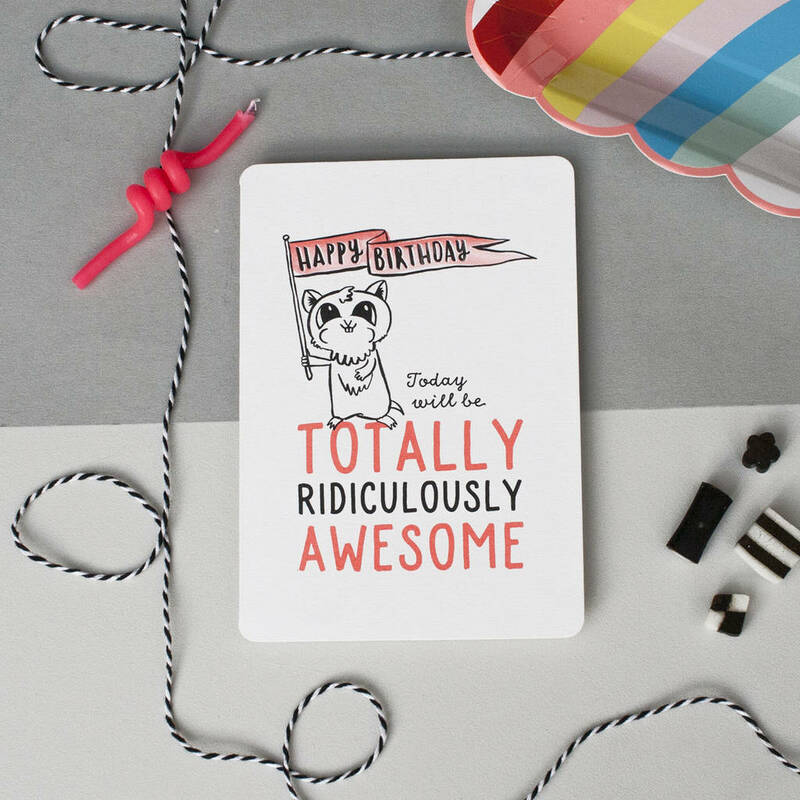 The card is blank inside for your own special message. 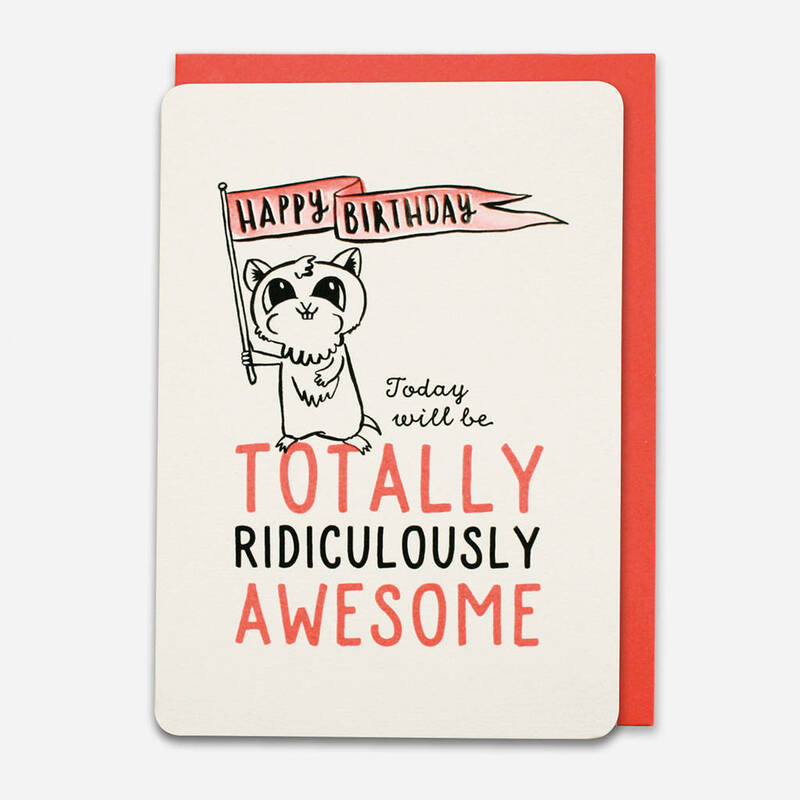 This card is ideal to send to a friend who is having a really fun day planned for their birthday. This card is created from hand painted designs made with brush and ink which gives the pattern a unique, rich texture where the individual brush strokes are clearly visible. The design is then litho printed in black and fluorescent orange for a bright and bold pop of colour. Each card comes with a matching fluorescent envelope and is packaged in a protective, clear cellophane bag. The card is 12 x17cm with rounded corners and fits into a matching 12.5 x17.5cm fluroscent orange envelope.